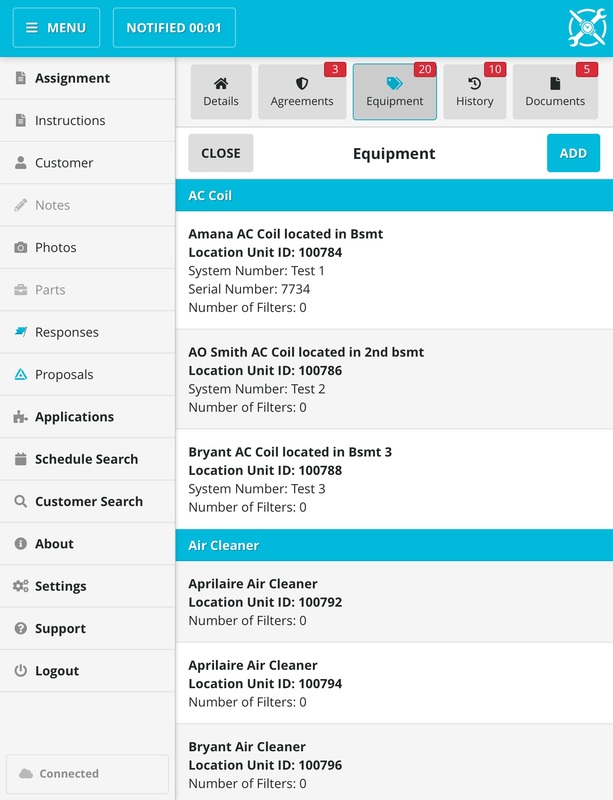 How do I add Equipment to a Customer? If you do not see the the Menu options, press the Menu button to make it appear. 2. Press the Add Button to add new equipment or tap on existing equipment to make edits to it. 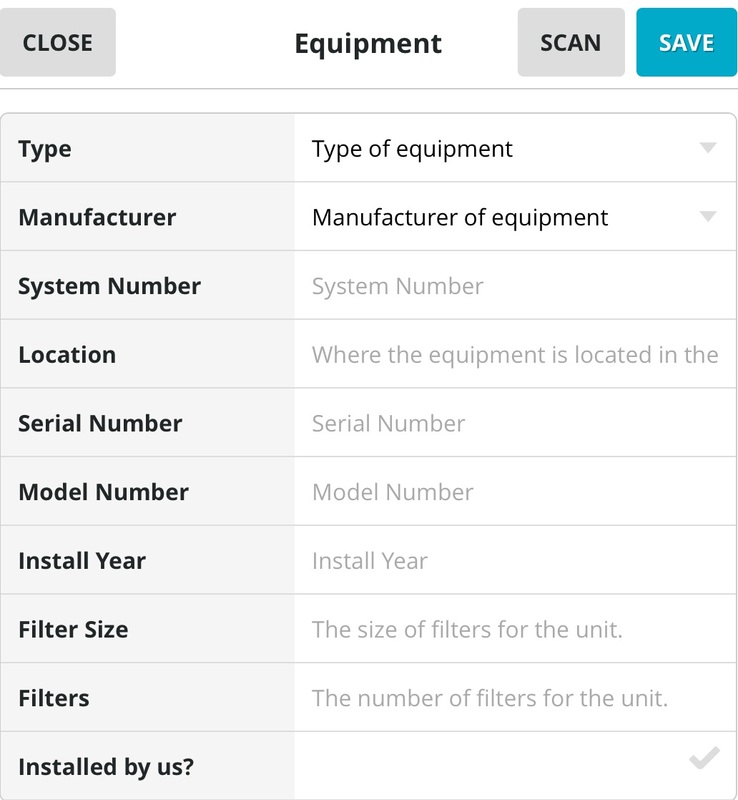 Type and Manufacturer can not be edited after the piece of equipment is saved in SWRemote or SuccessWare21.